A delightful Portuguese wine made with traditional grapes from the mountains north of Lisboa. A wine favoured by Celebrity Chef James Martin, that one mention on Saturday Kitchen crashed the Majestic wine website in the UK and O’Brien’s Wines sold out in a flash and now its back I’m delighted to be able to share it with you now and as James said, “one of the nicest reds I’ve tasted in 10 years on this show”. This wine has clean, clear nose. 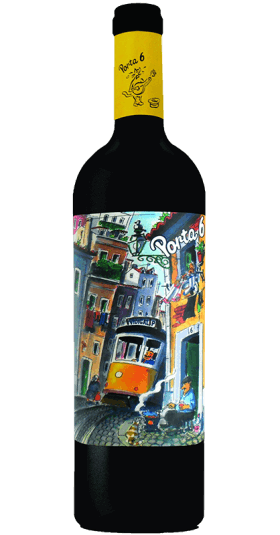 It has some lovely earthy tones from the indigenous Portuguese grape varieties along with some lush fruits of the forest. On the palate this wine is soft with a medium to full body. The earthy tones intermingle with the blackberries, blueberries, wild raspberries and faint hints of violets. This super wine is uncomplicated, well made and enjoyable. Great solo but will pair well with steak or a meaty pizza.